Melt all the ingredients, except the pretzels in a heavy saucepan over medium heat. Stir often. When everything is melted and smooth, remove from heat. Stir in pretzel pieces. 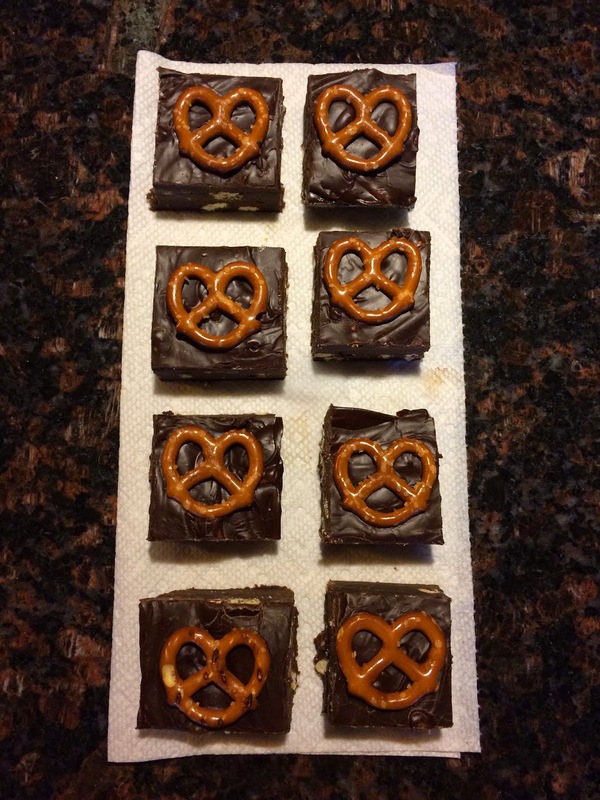 Pour into foil-lined, greased square (8x8 or 9x9) baking pan. 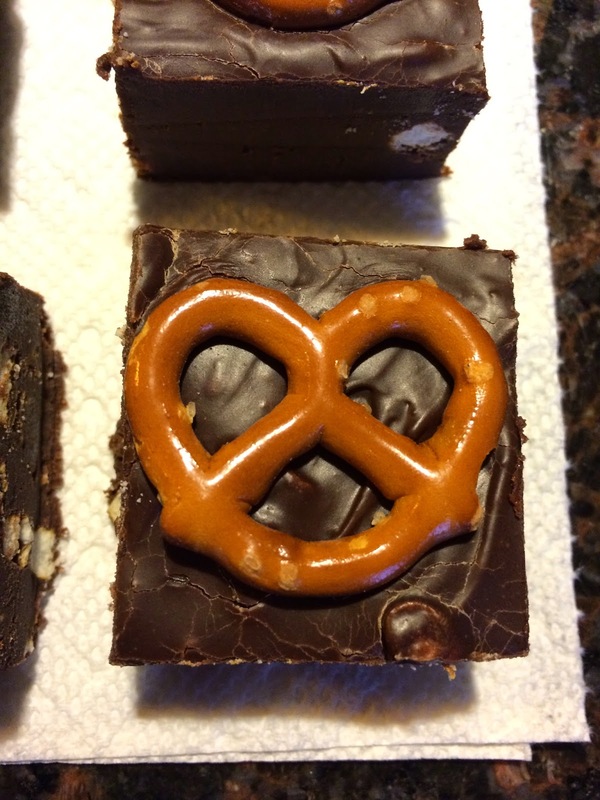 Press whole pretzels into top of fudge. Refrigerate 3 hours or longer. Remove foil and cut into squares. Store in refrigerator. What's your favorite kind of fudge? PS, last day to enter the giveaway! This is too funny, just the other day I was wondering if it would be too much of a challenge to try making my own fudge and now here is this lovely recipe. I have no excuses now. Bookmarking this recipe! Hello, YUM. I'm a sucker for pretzel-anything, so I'm definitely down for this! Yum!! I love anything with a mix of salty and sweet! This looks amazing! 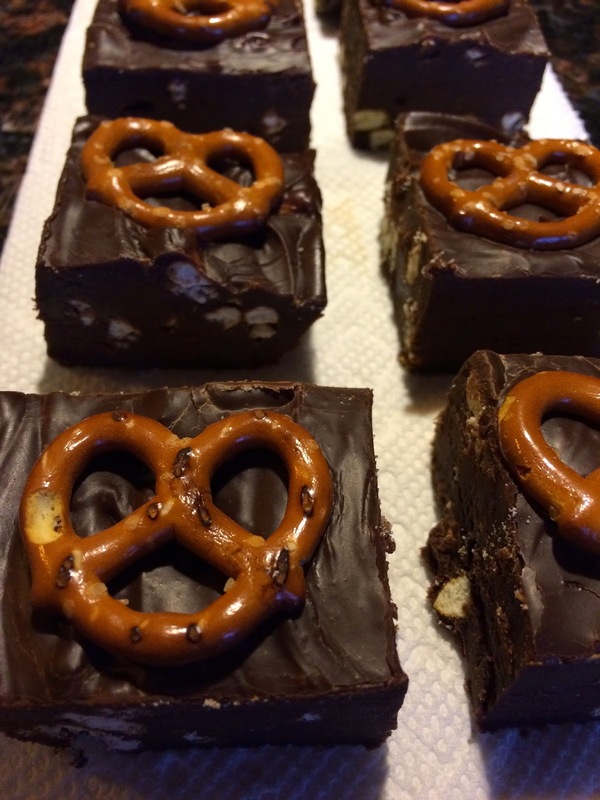 Great recipe and the brownies look yummy! That would be a nice Valentine's Day treat! I'd like one of these right now, please and thank you! Yum, yum, yum! Mmm this stuff looks like a problem! Also, Admiral appreciates all the love ;). Um can I have one right now, please?!? Those look delicious! YUM! Love the combo of sweet + salty! Oh em gee!! This sounds soooo good!! Def going to have to give this a try! Perfect for a night in watching movies! Thanks for sharing! The only fudge I usually make is peanut butter, but I want to give this a try!! Looks delicious. Can you say YUM?! These look amazing. I'm going to have to try making them at home. Thanks for sharing! I seriously love sweet and salty! It's my favorite snack! This is definitely a must try!